我們 愛護香港力量 成員由網上認識, 大家抱持同一目標, 愛護香港! 不希望見到香港社會被某些有心人(當中包括政黨, 傳媒, 真真假假的學者及壓力團體)上演大合奏, 視香港人的福祉如無物, 明目張膽出賣香港人利益! 害港集團包括以種種卑鄙手段癱瘓政府施政, 打擊紀律部隊執法, 煽動無知婦孺申請法援濫興司法覆核, 攪到莫名其妙的訴訟無日無之! 我們 愛護香港力量 成員均無黨無派, 雖人微言輕, 只是本著一份出於公義, 愛惜香港的赤子之心! 如各位有心人希望為香港出一份力, 不甘香港淪為奸黨魚肉之地, 唔想見到下一代接受主流缺德傳媒洗腦成為一個個無腦的廢青, 請各位加多留意香港事. 我們歡迎你加入, 成為 愛護香港力量 的一份子, 為香港, 為未來, 為子孫出一分力! I want to join your activity, please inform me by email or my facebook a/c Kong Man Chan. thanks!! 全中! 攻民黨口口聲聲說別人抹黑牠們, 但只要智商高過80的人都會反問: 為什麼只有牠們「監察」別人, 而市民就無權就牠們所作種種不義無恥的事作出回應!? 這就是「飯民口中的民主」嗎?? 只要攻民黨(或其他所有政黨, 政治人物, 垃圾傳霉, 假環保偽公義團體) 做少一些傷害香港市民的陰質事, 香港人絕對沒有藉口亦無人甘得閒去「抹黑」牠們的!! Fully support all your activities. I did attend the protest with my wife in North Point at the end of queue yesterday whilst the march is very peaceful. I was shocked when I found there was no coverage of the march in ATV & TVB main news but only the anti-Lam one. The mass media equilibium has been distorted to a unbearable situation silently in a direction opposite to what they always claimed not to mention the stupid & dirty political parties. I think the old HKer should have to do something in light of the well-being of our childen. I would support the alternative view to the main stream brain washing view in mass media for the sake of our children. 我對你們今次所做的一切真的很感動! 這次我和太太也投了公民黨對家, 並以大比數勝出, 一舉殲滅公民黨的勢力! 但今天聽新聞說公民黨開始準備為2012年9月備戰立法會選舉, 為了香港的利益, 我很想加入你地行列, 在2012年立法會選舉再度打殘他們! 但如何正式加入你們? 及將來的所有活動? 請email我將來的活動可以嗎? 你們應該搞個入會member etc….!!! 現在你們太過散修修, 得個論壇, 我很少上來check你們的活動, 希望你們有個更有組織性的協會, 那麼我將盡一切努力幫你們保護香港! 所以心中總急著替社會除害, 尤其是除“壹”害, 但單人匹馬, 實在無能為力, 中央又投鼠忌器, 特區司法權力又掌握在與壹傳媒眉來眼去之官員手中, 例如最近爽報已被評為不雅多宗, 有關部門還未有所動作, 遲早又是不了了之. 要壓止壹傳媒的猖狂及其對社會的壞影響, 唯有靠我們自己. 將壹傳媒自己報刊曾刊登過的任何道歉或賠償聲明, 不論在台灣或香港, 一一羅列出來, 用放大圖片方式, 放在貴會網頁上或以廣告形式刊登在某免費報章, 如經濟許可的話. 最後, 在有關輕判他的案件上, 附上負責法官的特大大頭相, 好讓他們心中有鬼, 有所顧忌. Just find this. Real good site. Sure to support! Keep up with the effort! 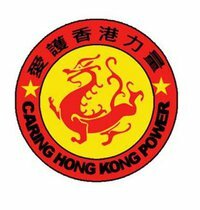 I wish you are the real party to protect the interest of Hk people. I am a supporter of your association and have actually joined in some of your activities so far, incl. the recent protest outside the RTHK building. However, 愛之深, 責之切。 Whilst I surely share with the objective and passion of many of the friends here, I have some reservation over the tactics employed for a few recent activities. That is, pl try control ourselves to not displaying too ‘vigorous’ speech/actions, esp. in situations where the other parties did not show the same (I have seen them these days try to be low key to 博同情). Thus, we won’t be easily to be ‘darkened’ by some of the so-based mass media and our opponents. I believe, most citizens’ eyes are clear and sharp. They’d even show bigger respect and suppor to us (you know, I get some friends who wanna join us but are a little concerned now). The result put by us will be even more bigger and effective. Just my view and absolutely no offence at all. Thanks and add oil!!! Advice given by S Wong is genuine and valuable, we have to give a reasonable and rational image to the public. Tks.